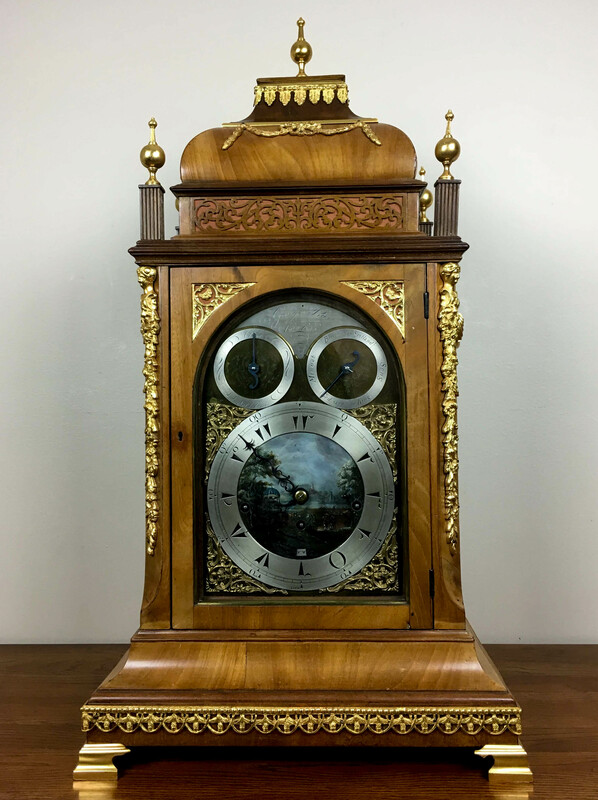 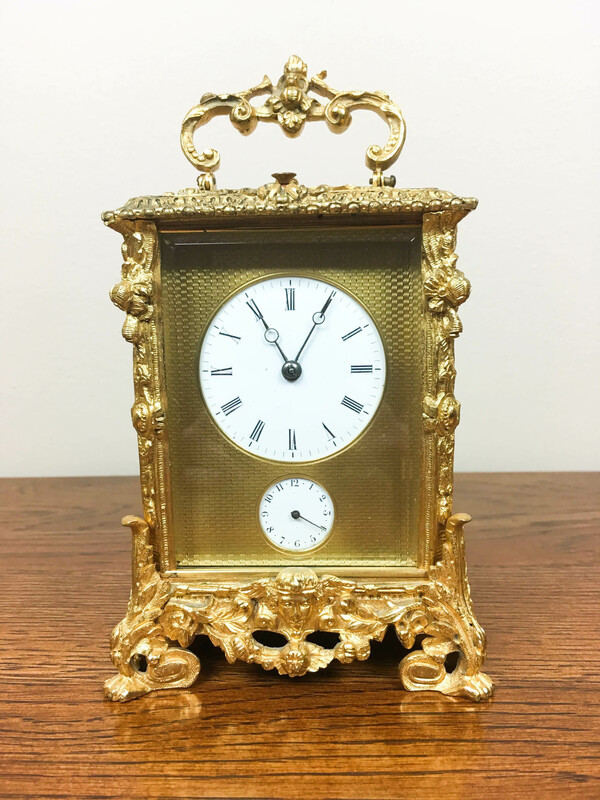 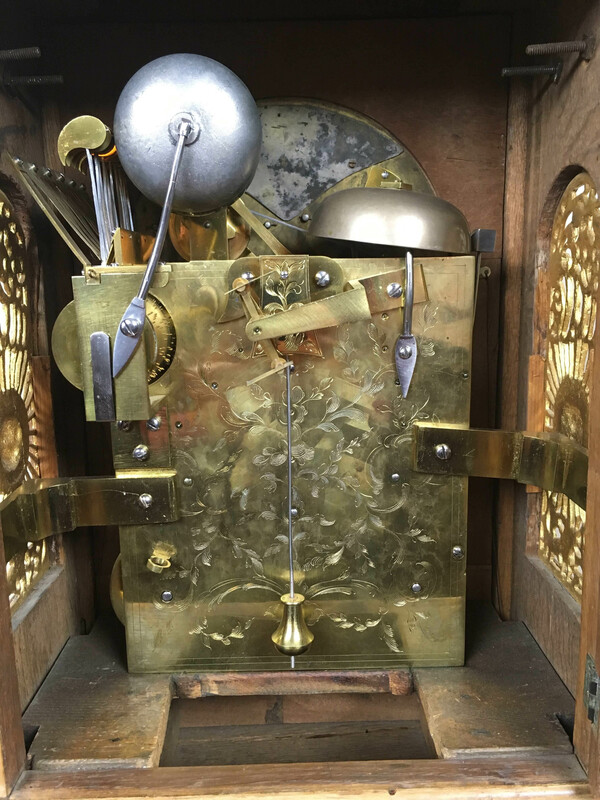 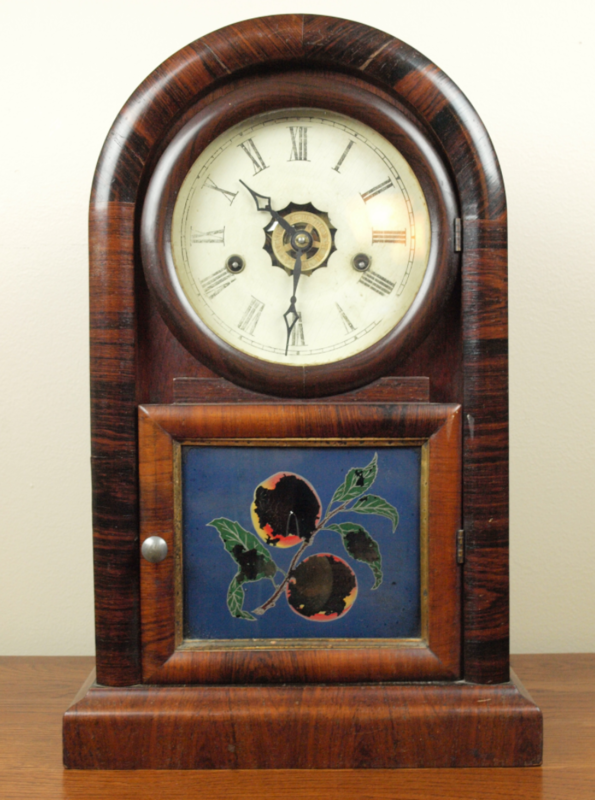 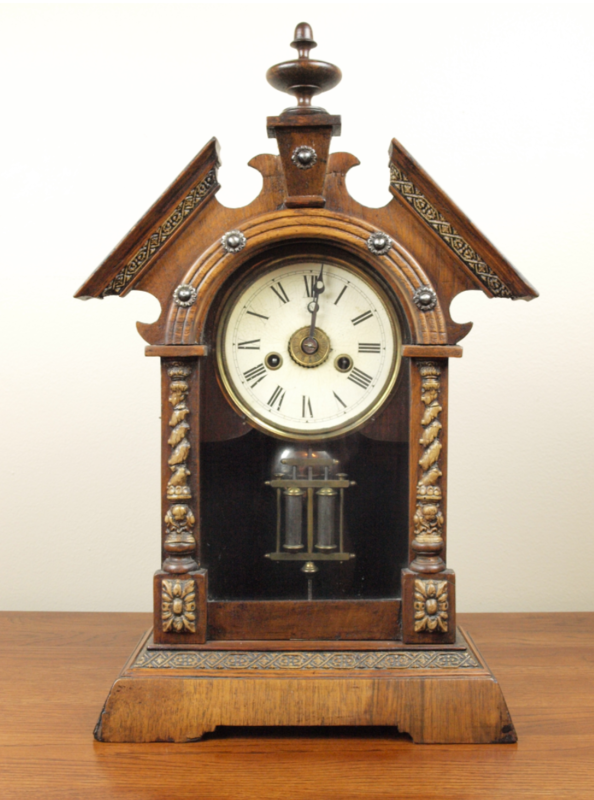 A rare English four tune musical bracket clock with a case of fruitwood with ormolu mounts. 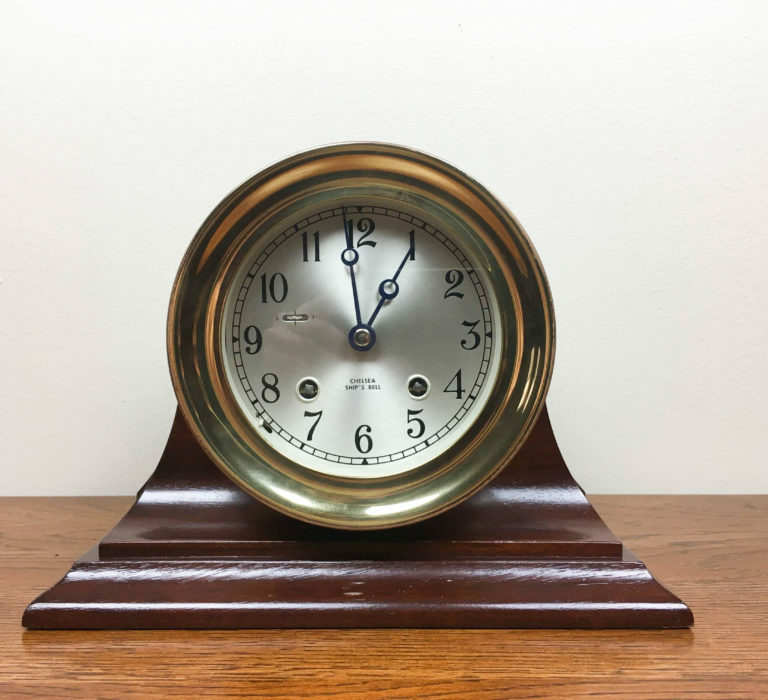 The eight-day movement playing a tune at the hour on ten bells. 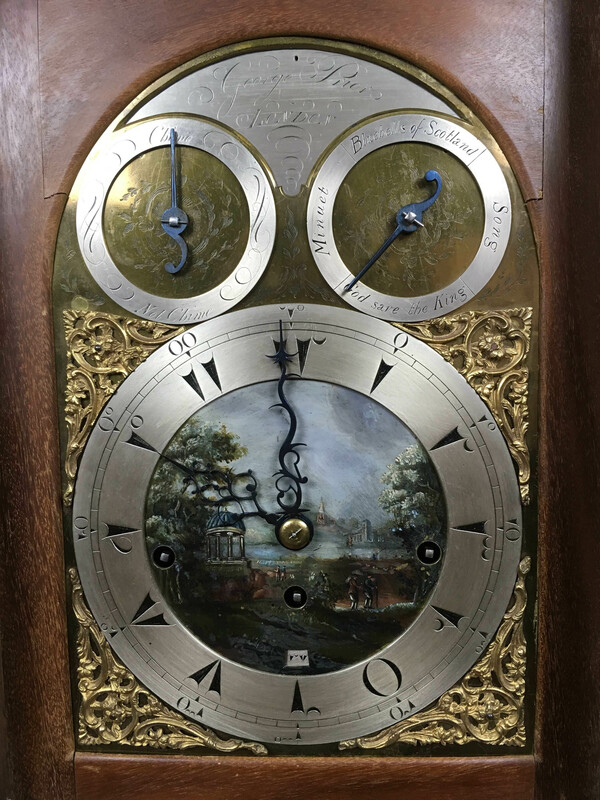 The brass and silvered dial with a painted dial center.